PARIS 2e: Damn, that's cupcakey! 1 Comments Published by Cedric Benetti on Sunday, July 5, 2009 at 7/05/2009 01:11:00 AM. 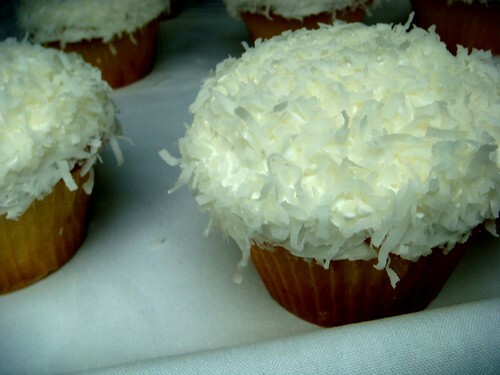 The urban dictionary defines the word "cupcakey" as : 'a good feeling that you get inside; unbeleivable happiness.' Combine that feeling with actually eating cupcakes and you double the pleasure almost to infinity. A feeling so cupcakey it's almost illegal. Those cupcakes are nearly the size of your entire face and thus not that easy to stuff your mouth with, especially if you try to stay clean while doing so. 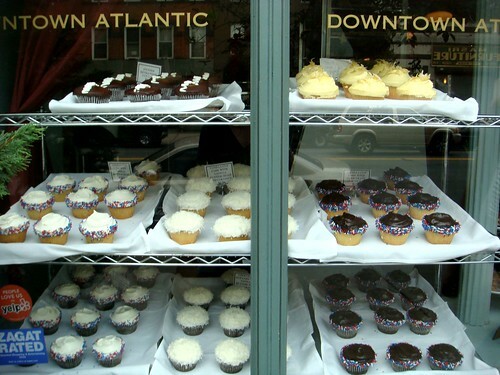 The people at the Downtown Atlantic bakery really know how to get you to try them by setting up a big sign saying "You know you want one!" 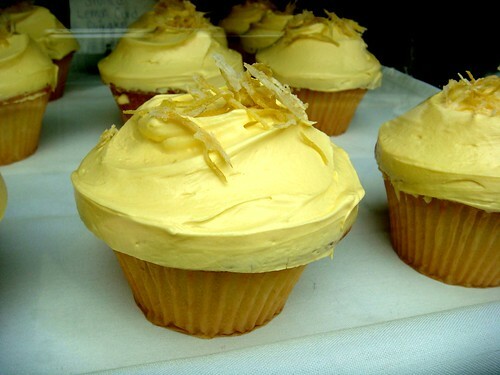 Erik and me tried the stuffed lemon butter cupcakes (picture below) and were in culinary heaven, sitting on a bench and looking like 2 schoolkids with buttercream around our faces. This place doesn't bear the title 'New York's best cupcakes' for nothing. 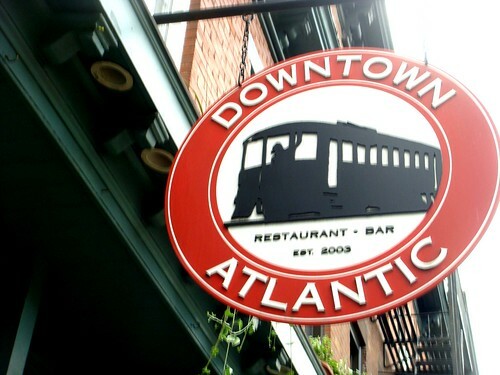 Visit Downtown Atlantic, they have an amazing selection of other pastries and an excellent restaurant. Those are sick! Young Yanks say sick for outstanding or great. I must say I don't remember you taking food pics, but I love the storefront window. And, swipe the latte bowl from wherever that was. What do you think of the food in NYC as opposed to Paris?